A brief round-up, also including a look at Captain Cook in memoriam, plus non-MSM takes on the Budget. With some relevant cross-references. Clangers galore associated with the centenary of the Battle of Villers-Bretonneux and the opening of the Monash Centre. Some ‘malicious joy’ for critics of Anzackery, as the peddlers of a mythical and inaccurate view of history, including the Australian prime minister (but not, as far as we can tell, his French counterpart) make some awful boobooes. A non-mainstream miscellany for ‘the One Day of the Year’. Alison Broinowski considers Anzac-related issues, while Ben Brooker shafts commemorative spending, and Andrew Hamilton considers what Anzac Day should really be about. News items on a Turkish film about Gallipoli then and now – a film made with the support of the War Memorial. The Prime Minister announces changes at DVA. Update 10 April 2018: War Memorial’s donors still top of ‘gunrunners’ league table. The Sir John Monash Centre at Villers-Bretonneux. Minister Chester makes news. ‘Bean’ proposed as name for ACT electorate. Green screen at Campbell. Honest History has noted previously that ‘gunrunners’ is Australian Defence Force slang for arms manufacturers – the (mostly) multinational companies that produce weapons of war and the ‘platforms’ which carry them – ships, planes, tanks, guns of various dimensions, and other assorted ‘kit’. The term ‘gunrunners’ expresses a rueful balance between contempt for a trade and need for its products. The Australian War Memorial, on the other hand, seems to strike a different balance. The Memorial’s Director, Dr Brendan Nelson, said this in 2017: ‘We regard it as entirely appropriate that defence contractors support the Memorial in its mission’. Honest History has followed the story of arms manufacturers’ donations to the Memorial, most recently in this post. 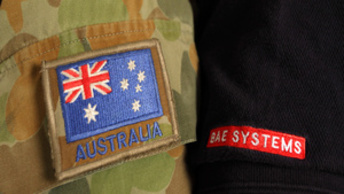 Joined at the shoulder: BAE Systems corporate advertising (BAE). In similar vein, the theatre at the Australian War Memorial is the BAE Systems Theatre. Source: Stockholm International Peace Research Institute (SIPRI), December 2017; previous year. Of course, the donations that the Memorial receives from arms manufacturers are mere small change compared with the amounts of money these companies turn over. While the most recent Annual Report from the Memorial no longer categorises donations by amounts (over $250,000, over $50,000, over $20,000) gunrunner donations in previous years seem to have mostly been in the tens and hundreds of thousands of dollars, although Boeing handed over $1 million (p. 191) in 2014. The Memorial is obviously pleased to receive this money, yet it is unclear what the donors get out of it. One imagines that, in the close-knit world of the military-industrial-commemorative complex, a nod and a wink about a company’s recent donation to the Memorial would not go astray in the context of defence contract negotiations. Or such donations might simply be practical expressions of the companies’ corporate responsibility statements, in which genre they are mostly paragons, with four of the Memorial’s six gunrunner benefactors gaining scores in 2015 of more than 90 per cent from respected anti-corruption body Transparency International (TI) for their ‘policies and codes’. The two exceptions were Thales (67 per cent) and Boeing (58 per cent). Boeing was particularly weak on evidence that it had ‘a zero tolerance approach to corruption’, ‘a policy that explicitly prohibits facilitation payments’, and ‘a clear policy on engagement in lobbying activities, in order to prevent undue influence or other corrupt intent’, as well as on evidence that it ‘prohibits or regulates charitable contributions, in order to prevent undue influence or other corrupt intent’. We have no evidence either way about defence purchasing corruption in Australia, although we note that Australia in 2017 was ranked number 13 in TI’s Corruption Perceptions Index, which is not industry-specific. New Zealand came out on top, scoring 89. Australia scored 77, down from 85 in 2012. Somalia was at the bottom, ranked 180, scoring just 9. Saudi Arabia, where Australia is keen to sell arms, was ranked 57, scoring 49. Australia’s gunrunner exporters might need deep pockets. If a PR company were asked by a foreign investor to recommend a strategy to ingratiate itself with the Australian public, it might (if it were sufficiently cynical) propose the client sprinkle itself with Anzac dust, and point out that the biggest bowl of Anzac dust is to be found at the Australian War Memorial. Lockheed Martin, Boeing, Raytheon, BAE Systems, Northrop Grumman and Thales have been knee deep in Anzac dust – and Dr Nelson reckons their donations are ‘entirely appropriate’. This is being opened on 24 April (though pre-booked groups will be allowed in from 16 April). The Centre’s website is here. Honest History’s views on the project link from here. See especially our comprehensive 2015 analysis commencing here. Update 14 April 2018: an example from January of reporting by a journalist who ‘travelled with the Department of Veterans’ Affairs’. 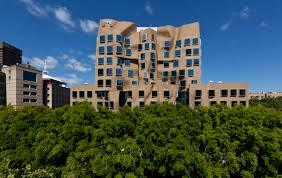 We have described the Centre as a boastful Australian boondoggle. (A boondoggle is ‘a project that is considered a useless waste of both time and money, yet is often continued due to extraneous policy or political motivations’.) We do not propose to say anything more about the Centre now but will link to reports of the opening, including the local French language stories. Update 16 April 2018: Les habitants (et les agents de voyages !) de Picardie en France are gearing up for a week of events surrounding the opening of the Sir John Monash Centre in Villers-Bretonneux (soft opening today, official opening 24-25 April), including le footy, le cricket, un didgeridoo, et un barbecue traditionnel. Update 24 April 2018: French accounts of the festivities, including a reference to ‘le général Georges Monash’. Meanwhile, Australian accounts (for example) tend to stress the emotional impact of the Monash Centre and the Australian role in the conflict. A complacent piece by Michael Cooney of the Australian Republic Movement, which seems to assume we need patriotic ‘days’ and Anzac will do, so critics pipe down. Update 25 April 2018: SBS report of the opening is representative though there are lots more, with the words ’emotional’ and ‘high-tech’. Minister Chester marks the spot with a speech and a couple of media releases. Le Courrier Picard has the local perspective with this and other pieces. But the Monash Centre is not for scholars. This is entertainment, cutting edge and thrilling in its way, but entertainment. Crowds will no doubt come. Tour operators are already rejigging their itineraries to fit an hour or so for their customers in this dazzling maze. But war buffs should stay out in the battlefields. Devotees of the great general will learn nothing new about their hero here. True, war isn’t glorified. But there’s hardly a breath of politics in the exhibition. It’s all battles and no scandal. Minister Chester (right) has taken the helm and put out statements about veterans’ pensions, services to veterans and their families, compensation and rehabilitation for veterans, veterans’ employment, and the well-being of serving and ex-service personnel. He set out dates for commemoration during 2018. There were also routine announcements about young historians, Anzac Day material for schools, and small grants to ex-service organisations. The Minister’s radio and TV gigs were mostly about service personnel issues. The Australian Electoral Commission has proposed that the ACT’s third federal electorate be named after war correspondent and historian, Charles Bean. 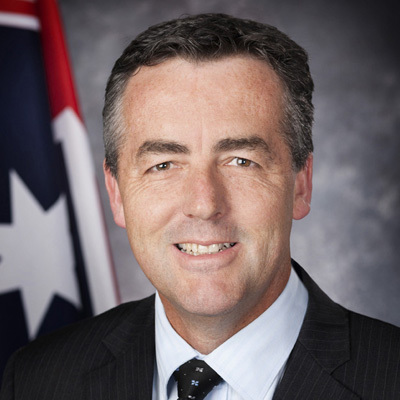 The electorate would take in southern parts of the Territory, presently covered by the electorate of Canberra, including Bean’s former residence, the Tuggeranong homestead. None of the 16 submissions received proposed Bean as a name but the committee of four officials cast votes for the alternatives of Bean, Cullen (recognising Ngingali Cullen, an Aboriginal activist) and Nott (for the first federal member for the ACT, Dr Lewis Nott). Bean won with two votes out of four. The committee came up with this short list, having considered 57 other potential names, with an emphasis on women and Indigenous figures. There will be public consultation on the report, including the proposed electorate names. Update 25 May 2018: War Memorial involvement. Honest History has been interested in the Kingold Education and Media Centre at the Australian War Memorial, specifically in the cost of the green screen and related facilities for broadcasting, editing and 3D scanning. Attentive readers will recall that Dr Chau Chak Wing of Kingold was made a Fellow of the Memorial in September 2015. The only other Fellow (awarded November 2015) from the corporate world (apart from Kerry Stokes, who is also Chair of the Memorial’s Council and a long-time donor) is Dennis Muilenburg, CEO of arms manufacturer Boeing (see above). Mr Muilenburg got his award after Boeing stumped up $1 000 000 for the Memorial (p. 191) so we wondered whether Dr Chau and Kingold had been good for a similar amount. In other words, is the ‘corporate donor tariff’ for a fellowship a million dollars? The Memorial’s Annual Report 2015-16 (p. 144) has Kingold in the category of ‘benefactors’ – donors of over $250,000 – which suggests that Dr Chau may well have paid the tariff. It is odd that the exact amount of the donation is not on the public record, though, given that the amounts of Dr Chau’s much larger donations to the University of Sydney ($15 million for the Chau Chak Wing Museum) and the University of Technology Sydney ($20 million for the Dr Chau Chak Wing Building) are publicly known. Perhaps it is the Memorial which is being coy. How much do a green screen and related capacity set you back anyway? Our researches have suggested that facilities like those at the Memorial can be got for anywhere between $50,000 and $500,000 – or even $1 million for a really gold-plated set-up. We asked the Memorial for a heads-up on costs but they are still to get back to us. Update 25 May 2018: the Memorial tells Sally Whyte of Fairfax the Kingold studio cost $500 000 and an earlier donation from Dr Chau came to $60 000. We even rang the Australian number for Kingold, which goes through to the office of Kingold Media, publishers of Australian New Express Daily, and sent them an email asking how much they gave to the Memorial for the Kingold Centre. Again, we are still waiting for a response. We have no evidence that corruption associated with defence industry corporate giving has happened or will happen in Canberra. On the other hand, Transparency International has recently included “Charitable Contributions and Sponsorship” in a list of “key corruption issues” facing defence suppliers globally. Actual instances of charitable-giving corruption in the defence sector overseas seem to be rare, perhaps because they are well concealed within the complex financing of defence purchasing. In a 1990s South African case, again involving BAE Systems (then British Aerospace or BAe), the defence minister intervened on BAe’s behalf after the company had donated five million rand ($US1 million) to a war veterans’ association, of which the minister was a trustee. BAe said the donation had been made “to demonstrate that we wish to be good corporate citizens doing business in South Africa”. 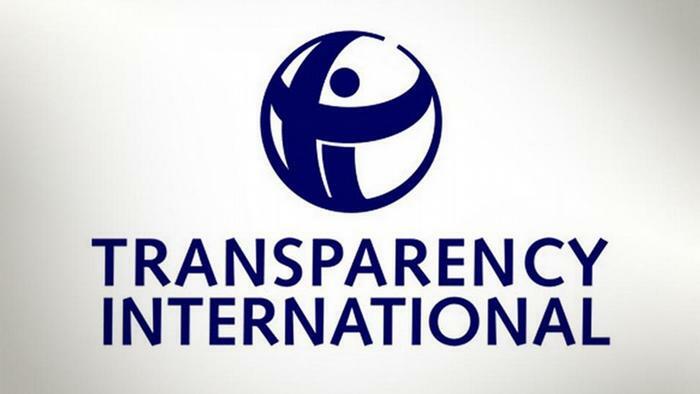 Transparency International’s warning acknowledges that corporate giving could serve the same purpose as payments to third parties have served in the past for companies like BAE. Any project that is financed by the defence industry risks being tainted with the whiff of corruption surrounding the sector … The risk grows with secrecy. Transparency International says every enterprise, defence and otherwise, “should ensure that charitable contributions and sponsorships are not used as a subterfuge for bribery [and] … should publicly disclose all its charitable contributions and sponsorships”.